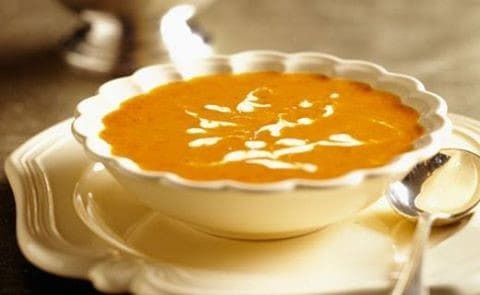 A delicious soup that can be made in no time! Melt butter in large soup pot. Add onions, Curry and Ginger. Cook, covered, over low heat until onion is tender, about 5 minutes. Add broth, squash and apples, and bring to a boil. Reduce heat and simmer, partially covered, for about 20–25 minutes, until squash and apples are tender. Working in batches, purée solids with an immersion blender, blender or food processor. Return purée to pot. Add apple juice and heat. Season with Sea Salt and Black Pepper.